Meline Manoukian of Boca Raton, Florida passed away at Hospice in July 2015. She had been a resident of Boca Raton since 2003 coming from the Boston area. Meline was born in Istanbul, Turkey to parents who survived the Armenian Genocide of 1915. Meline’s husband Berj, who recently passed away, loved her so much he called for her to rest with him in everlasting peace. My mom was a true mom. She was wonderful, special, caring, loving, giving, generous, kind and sacrified for all. I thank you for everything you taught and did for me; you will always be in my heart. Love your daughter, Melinda. 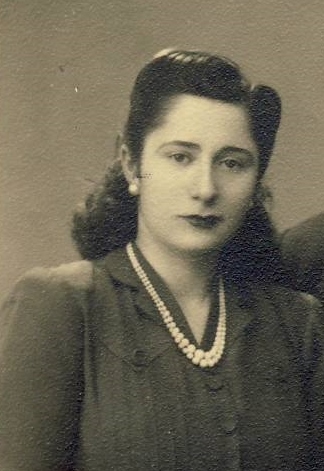 Meline was a member of the Armenian Church Women’s Guild and the Daughters of Vartan. Meline is survived by her children and grandchildren. Services will take place on Tuesday, July 21, 2015 beginning at 5:00 p.m. at St. David Armenian Church, 2300 NW 51st St., Boca Raton, FL. Burial will be at Mount Auburn Cemetery in Cambridge, MA in the near future. In lieu of flowers, Melinda and Melissa request donations be made to either St. David Armenian Church of Boca Raton, FL; St. Mary Armenian Church of Hollywood, FL; or St. James Apostolic Armenian Church of Watertown, MA. For more information, or to offer your condolences, please visit the Glick Family Funeral home page for Melanie here. Posted on July 20, 2015, in Armenian Church, Armenian Genocide, General Update and tagged Melanie Manoukian, Obituary. Bookmark the permalink. Leave a comment.